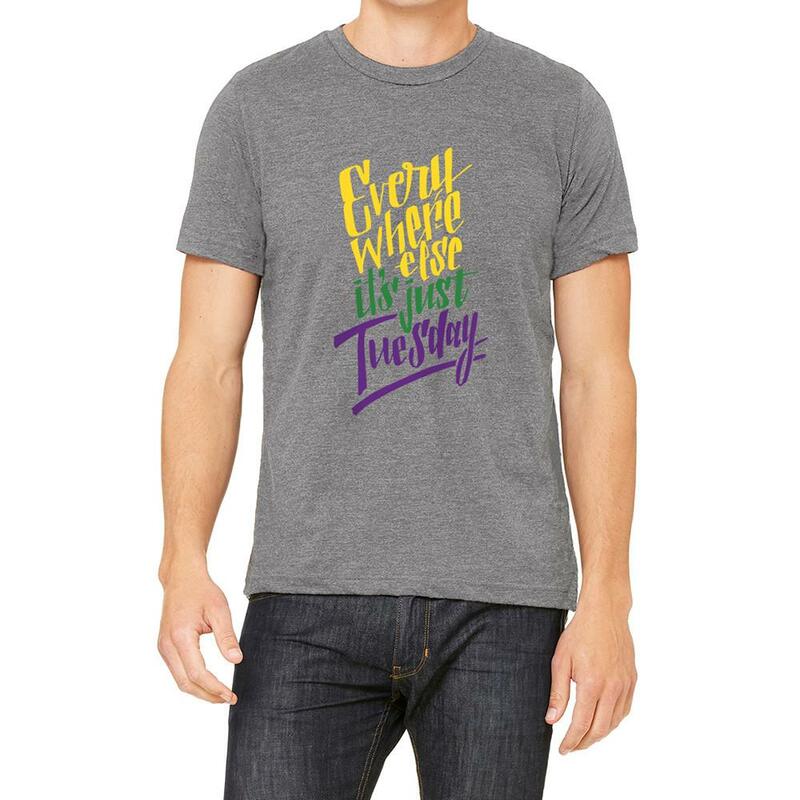 Maybe it’s your first time in New Orleans celebrating Mardi Gras or maybe you’re a NOLA native, but either way, you may be left wondering where you could buy Mardi Gras themed attire. 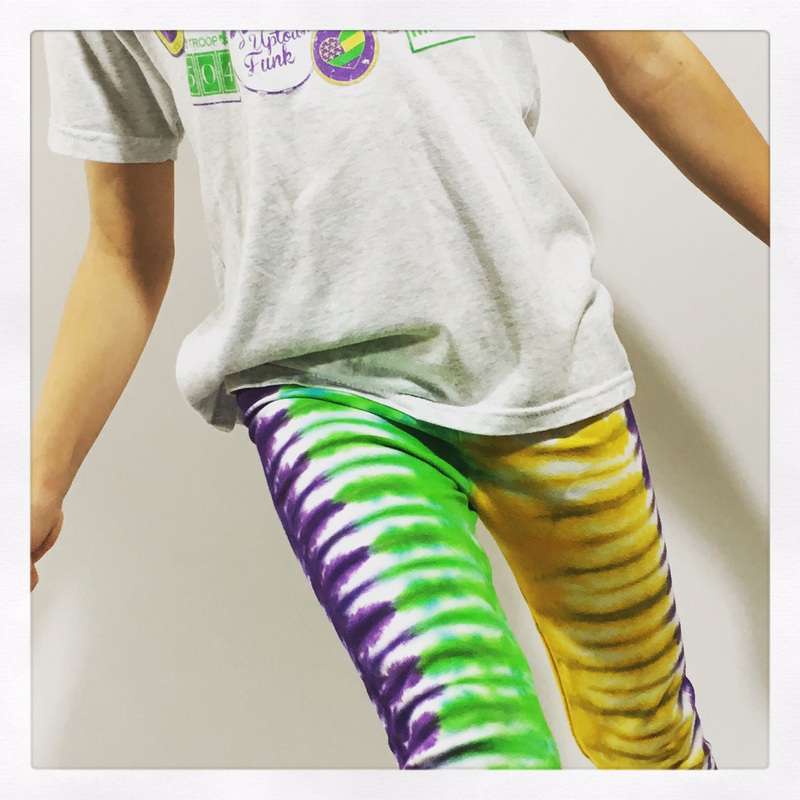 There is no shortage of places to buy beads and other Mardi Gras supplies, but here’s a list of local shops you can ship to the trendiest Mardi Gras clothing to show your Carnival pride this season. 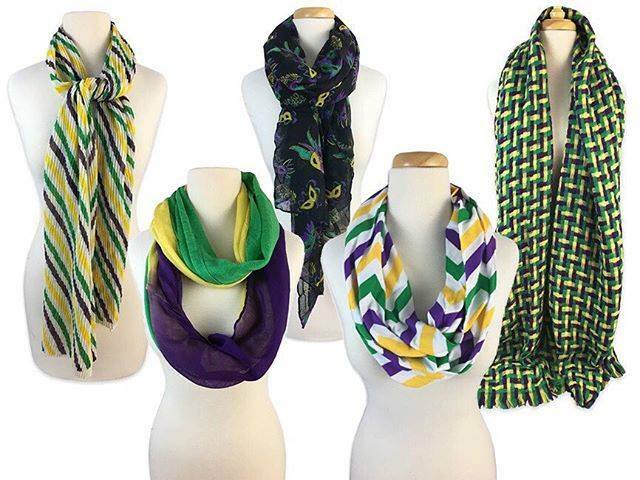 Fleurty Girl is a boutique specializing in all things NOLA. Form Mardi Gras home décor to second line umbrellas Fleurty Girl has you covered for this Carnival season. Lauren Thom made a risky move when she founded Fleurty Girl in 2009. She and her three kids moved in the back of a shotgun house with hopes that her online boutique would take off. 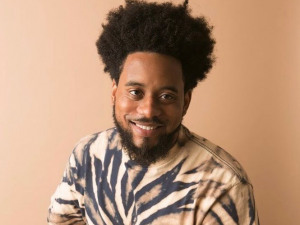 Fast-forward nine years later, Lauren’s boutique became a success with numerous locations on the Northshore and Southshore. Nikki Voltolina runs a year-round Halloween shop that where not only creates amazing Halloween costumes, but she also has Opposuits. 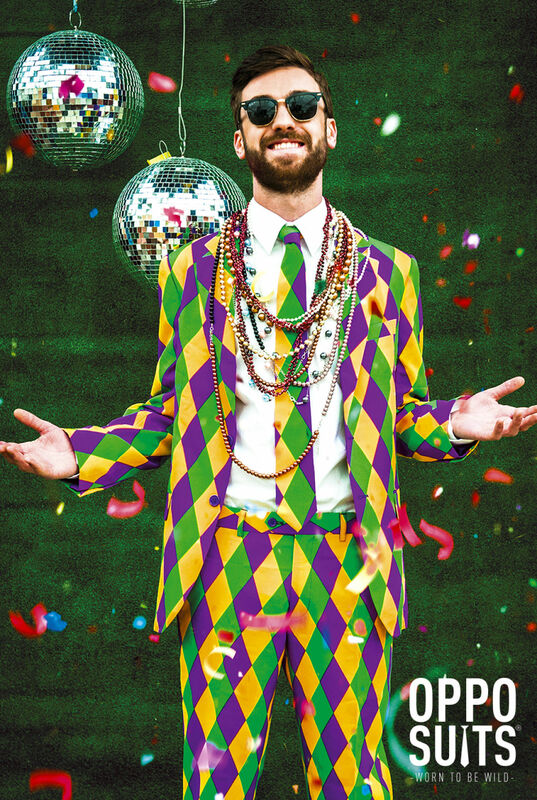 These suits will have you standing out from the crowd and catching the best Mardi Gras beads this Carnival season. 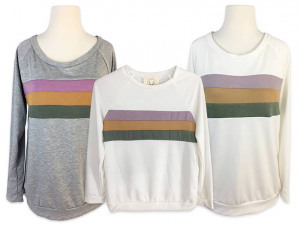 Sarah Ott carries simple and chic clothing that will have you Carnival ready. Take the extra step and accessorize your Mardi Gras street fashion with Sarah Ott’s NOLA themed jewelry. Spy Girl NOLA was started by a Dallas native who attended the Carnival festivities with her family. 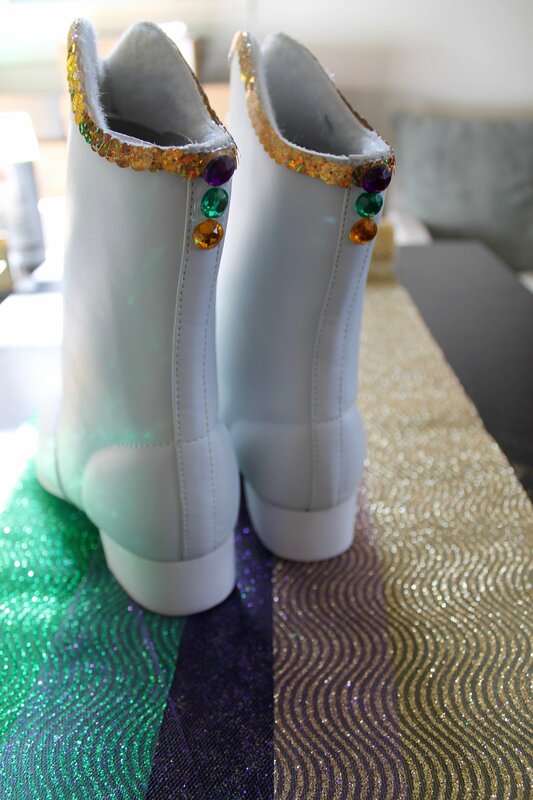 Lauren Sennie’s favorite part of Mardi Gras was seeing the dancers’ white boots with giant tassels. After getting her own pair of white boots then self-customizing with festive tassels and sequins, she decided others needed to have it too. Customers can choose single or multi-colored tassels and add sequins to glam it up. 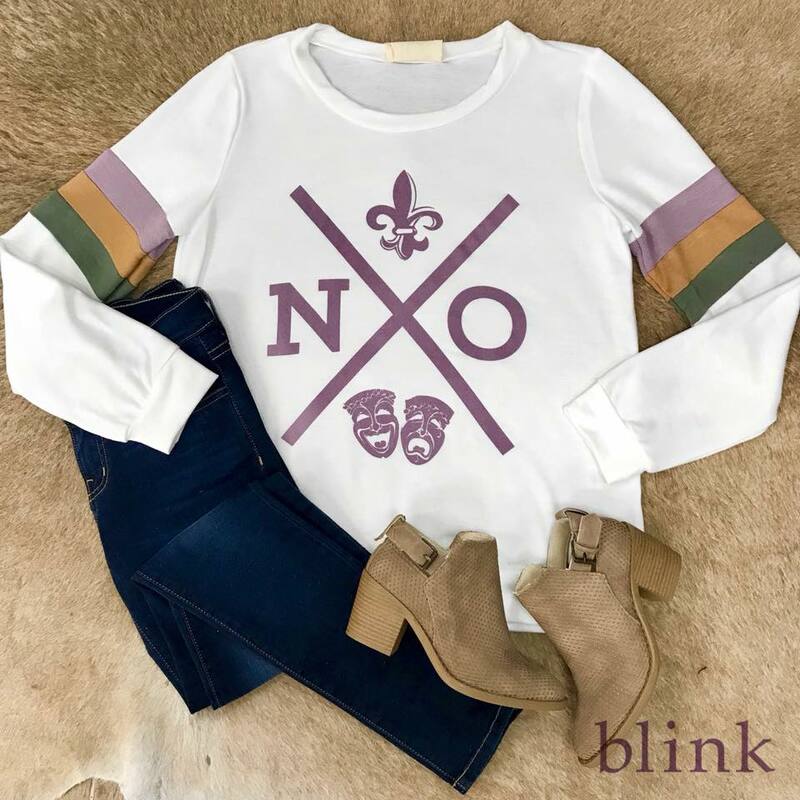 Blink Boutiques has six locations around Louisiana. 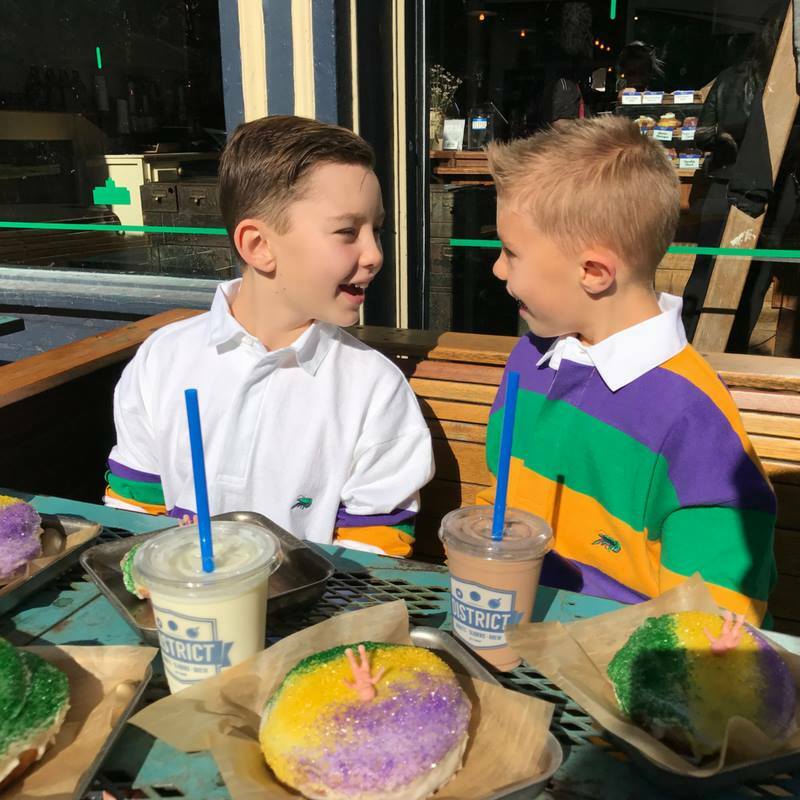 All locations provide Mardi Gras attire, but their seasonal Purple and Gold store in Baton Rouge sells all things Carnival! 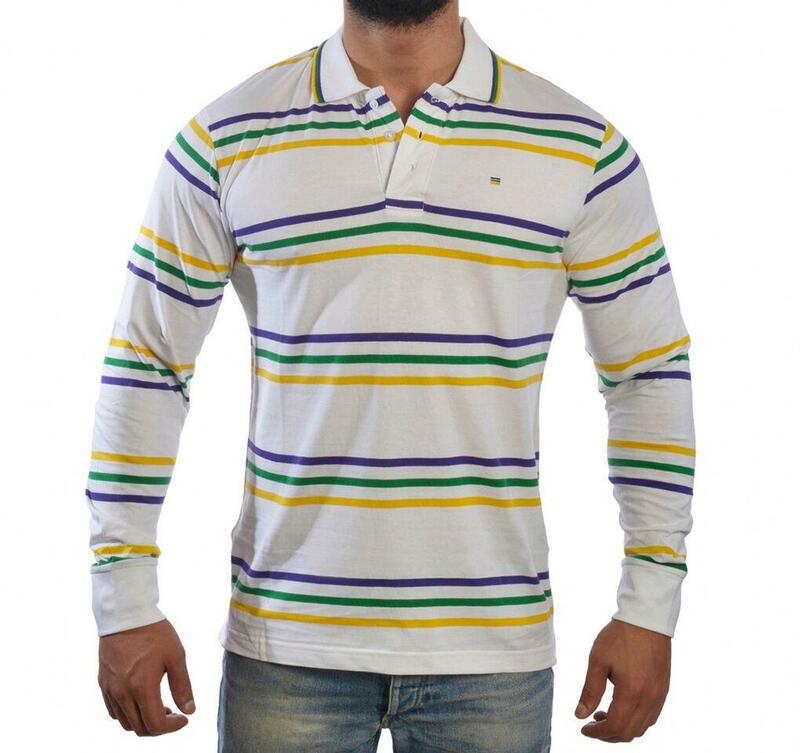 Perlis Clothing was established by Rogers Perlis in 1939 and caters to Southern style clothing. Perlis’ high-quality clothing is accented by their crawfish logo and can be made-to-measure. This local shop is stocked with masks and their Venetian style masks are fit for Mardi Gras royalty. 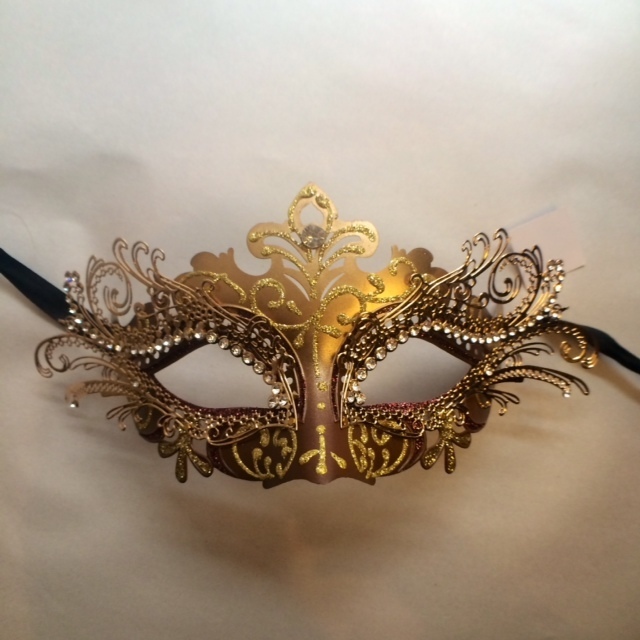 Located in the heart of the French Quarter and a few steps for Jackson Square, locals and tourists in the area can grab a mask during their Carnival celebrations. Liz Maute Cooke is a orginally from Oklahoma but has embraced her new home in New Orleans. She began printing when she was six-years-old by using markers and scrap paper which led her to study typography in Rome. Lionheart Prints has grown from hand-lettered greeting cards to a nationwide brand with a range of products. Liz Maute Cooke’s studio is located uptown where you can stop by and find exclusive collaborative designs from local designers. Mardi Gras Creations was established in 1988 by Sheila and Ratan Melwani after moving here from Puerto Rico. Along with apparel, Mardi Gras Creations sells beads, boas, masks, and souvenirs.